A little strong for me, but if you like full flavor, it's a nice smoke. An excellent value for this quality cigar. Glad they offered a pack of 4. Makes a good sample. An excellent value smoke to accompany a couple of drinks after a good day. The Padron main line, all sizes, are well made and delicious. A bit more rustic and toothy in appearance than the 64s or 26s. Pound for pound, they are a great value and always smoke perfectly. 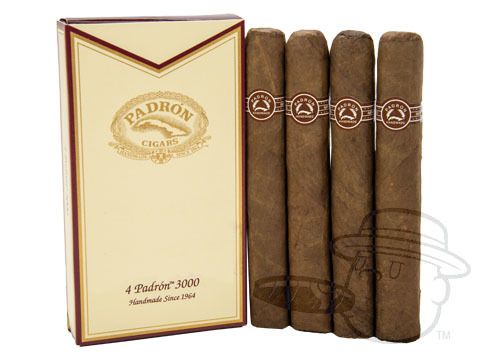 Padron 3000 Natural is rated 4.7 out of 5 based on 8 customer ratings.